Home Tags Posts tagged with "Alphabet City"
Oda House, in Alphabet City, doesn’t follow any of the caricatural archetypes of Russian (and post-Soviet) restaurants in New York. It’s neither an oligarch den like the late Brasserie Pushkin, nor a heavy-handed theme restaurant like Nasha Rasha, nor a Brighton Beach / Sheepshead Bay mega-caberet like Baku Palace, nor a pizza-parlor-style joint like Taam Tov. 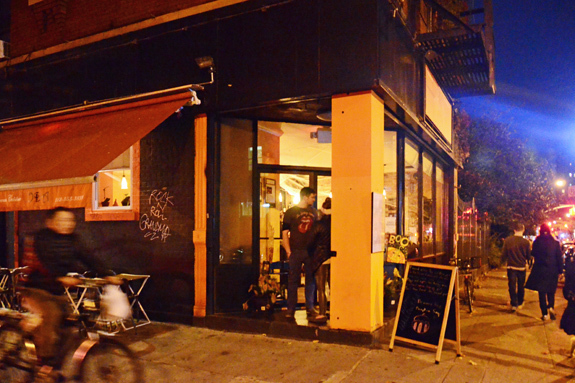 Instead, it looks (and functions) like a normal East Village restaurant! Exposed brick walls, large windows, real waiters, cosmopolitan patrons… If you like going to Russian restaurants for ironic or anthropological reasons, prepare to be disappointed. Even their web site is BS-free (the only detail I found to pick on is that all the pictures of the executive chef show her in her school uniform, a rather unusual choice).